Ramūnas Audzevičius has been the partner and the co-head of the Dispute Resolution practice in Motieka & Audzevičius since 2003. Ramūnas is highly experienced in business, commercial and regulatory disputes involving the application of EU, international and foreign law, as well as shareholder conflicts and corporate investigations. His practice involves representation of the clients under UNCITRAL, ICC, SCC, LCIA, MKAS, GAFTA, FOSFA and the Vilnius Court of Commercial Arbitration rules. He also handles matters before the Supreme Court, the Supreme Administrative Court and the Court of Appeal in Lithuania. Ramūnas has been involved in advising clients in litigious matters decided by courts of the highest instances in Russia, Ukraine, Belarus, Azerbaijan, Latvia and Estonia. A graduate of Harvard Business School (PLDA), Ramūnas Audzevičius has obtained a master of laws degree (LLM) from the Moscow School of Social and Economic Sciences (degree with the University of Manchester). He also holds MA degrees from King’s College London and the Institute of Advanced Legal Studies, both attached to the University of London. Ramūnas went to Vilnius University, Faculty of Law, for his undergraduate law degree. 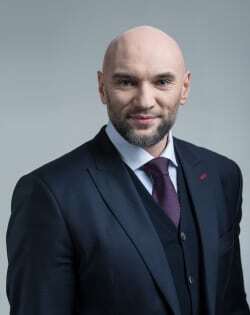 He also graduated from the International Business School at Vilnius University with a diploma in business administration. His working languages are English, Russian and Lithuanian.